Commuter students are defined as students who do not live in institutionally owned housing (Jacoby, 2000). Nationally, commuter students make up over 85% of college students in the United States (Horn & Nevill, 2006). Despite being in the majority on college campuses, commuter students can find difficulty in making a successful transition to college life. Commuter students often have difficulty accessing campus services, because co-curricular events and activities normally take place outside the classroom and at odd hours of the day (Dickson & Thayer, 1993). Furthermore, these students typically have significantly more time demands and commitments than other students. Commuter students often enroll in fewer classes, devote significant time to off-campus employment, and sometimes have commitments to family, home, or community that reduce their involvement in campus life (Henry, 2004). Being a commuter student can be a challenging experience. What are some of the challenges that commuter students face? 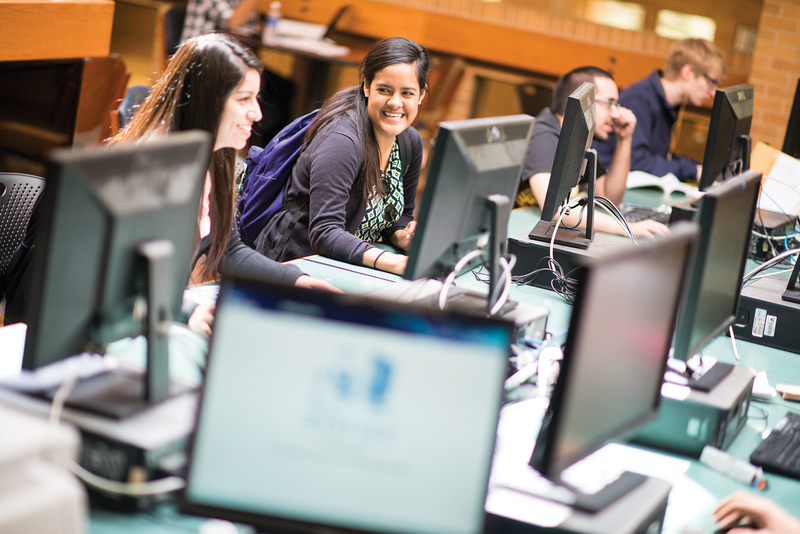 How can you, as a commuter student, be proactive in ensuring your success at UT Arlington? It is important for you to develop a sense of belonging on campus while maintaining your continued affiliation with high school friends, family, off-campus employment, and community groups (Upcraft, Gardner, & Associates, 1989). Commuter students can have difficulty in forming peer groups because they are afforded fewer opportunities to interact than residential students and often do so only in classroom settings, which is only one part of the overall collegiate experience. There are myriad opportunities on college and university campuses to interact with peers, as well as faculty and staff, in and outside of the class- room. Social and intellectual interaction can be just as beneficial as coursework and academic involvement (Pascarella, 1989). These interactions can occur by avoiding the “parking lot, to class, back to the parking lot” mentality that many commuter students experience. It is important for you as a commuter student to find ways to integrate into campus life. Consider staying after class to speak with a professor in an informal setting or eat lunch on campus with friends from class. What do commuter students need to be successful? Where can you go to meet these needs on campus? All students should find a way to develop a sense of belonging on campus by becoming engaged in university life. You must find avenues to connect with peers and reach out to university administrators to ensure that institutional planning and programming considers your needs. Commuter students may opt out of voicing their needs because they may assume that “this must be the way college is” and often are not given the opportunity to speak out (Clark, 2006). College is what you make of the experience. Take advantage of the opportunities that college life has to offer. Plan class and work schedules in such a way that getting involved on campus is a possibility. Consider finding an on-campus job to give you flexibility in scheduling around your classes, and to make you more readily available on campus. Join a student club or organization to meet friends outside of the classroom. Work out on campus or join a campus intramural team. Take advantage of mentoring programs when possible to get advice from an advanced student who has been through similar experiences. Even attend a program or event on campus just to spend some added time at the university. Most importantly, find your “best fit” by becoming involved and engaged on campus. Make this your home away from home. What are some other ways that you can ensure that your voice is heard on campus? What are other ways to avoid being a silent majority on campus? Which of the University of Texas Arlington’s almost 300 clubs or organizations could you join? “It is difficult to make new friends and feel socially connected to campus.” • Join a student organization or a fraternity or sorority in Greek Life. • Invite classmates to join you after class for studying or a coffee break. • Swap phone numbers and e-mail addresses with classmates and propose a study group. “I do not have enough time to participate in on-campus activities.” • Arrive on campus an hour or two before your classes start to get an early start to the day. • Consider getting an on-campus job, which will often have understanding bosses and co-workers and a flexible evening schedule. • Build time into your class schedule to allow you to spend extra time on campus in a place you enjoy. “I find it difficult to interact with staff and faculty.” • Set up a meeting to talk with your professors during their office hours or after class. • Join a student organization to interact with faculty and staff advisors. • Faculty and staff hang out on campus just like you. Some even play intramurals. • Make an effort to be on campus, and you will likely increase your interaction with faculty and staff. “I drive a long distance to come to class every day, and parking is always a problem.” • Arrive early to campus to ensure that you get a good parking spot. • Check the UTA Web site to make sure there are no cancellations or delays. • Carpool with friends or classmates to cut down on gas money. “I never know what’s going on.” • Pick up a copy of The Shorthorn, the student newspaper, every day as you come to campus to see what other students are talking about. • Establish a relationship with a mentor, a faculty or a staff member, or a student who can help you become connected to campus. • Sign up for newsletters or listservs through University Communications and Student Governance and Organizations to keep up-to-date.